Catherine R. O’Donnell has been selected as one of Top 100 Trial Lawyers in the state of Pennsylvania. The National Trial Lawyers is an organization composed of the top 100 Trial Lawyers from each state. Membership is obtained through special invitation and is extended only to those attorneys who exemplify superior qualifications of leadership, reputation, influence, stature and profile as civil plaintiff or criminal defense trial lawyers. You can find additional information at www.TheNationalTrialLawyers.org. Catherine has also been named a Pennsylvania Super Lawyer in 2007, 2008, 2009 and 2011. 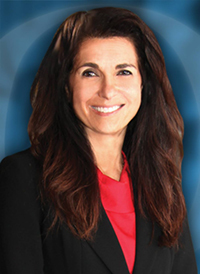 She joins her husband Neil with the prestigious selection as a Top 100 Trial Lawyer in Pennsylvania. Catherine and Neil are attorneys with O’Donnell Law Offices, a personal injury lay firm located in Kingston, Pennsylvania. For more information, visit www.odonnell-law.com.